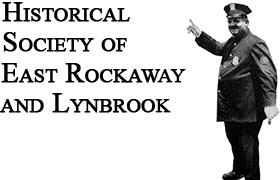 The Historical Society of East Rockaway & Lynbrook has been able to have a number of issues of the East Rockaway Observer and the Lynbrook Helm newspapers microfilmed and scanned. Because some of the issues are missing from each year copied, we will print those missing dates for you. For access to the copied papers please go to longislandmemories.org and/or LILRC.org and follow directions. Additionally, we have conserved and preserved records of the Vineyard Church.. Four church books from the Old Sandhole Church which were given to us several years ago, are becoming a part of history as you read. They date from 1834 to 1872 and contain information about the Town of Hempstead including the traveling preachers, marriages, births, deaths, baptisms and sprinklings of the area. Why are they significant? They are important because this information will be microfilmed and copied so that if someone wishes to taste a bit of history or even enjoy a good mouthful they will be on our plate.. In addition, the Long Island Institute of Studies at Hofstra University has copies of all the aforementioned items.